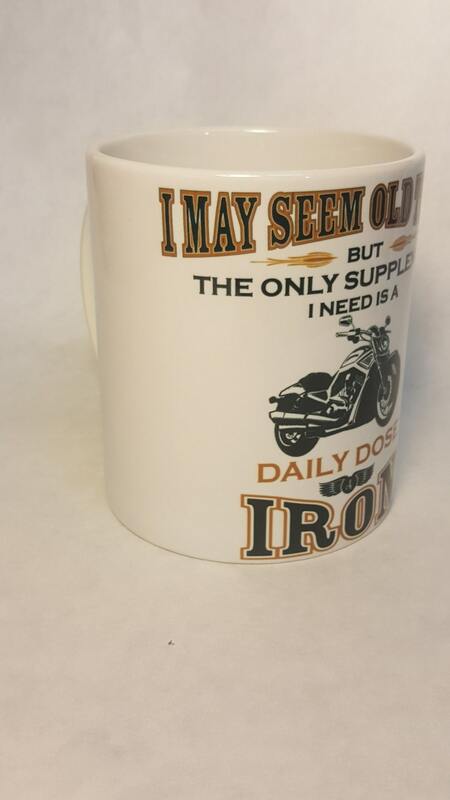 Our Biker Mug or Motorcycle Mug is a great gift for those of us who ride the Iron Horse. 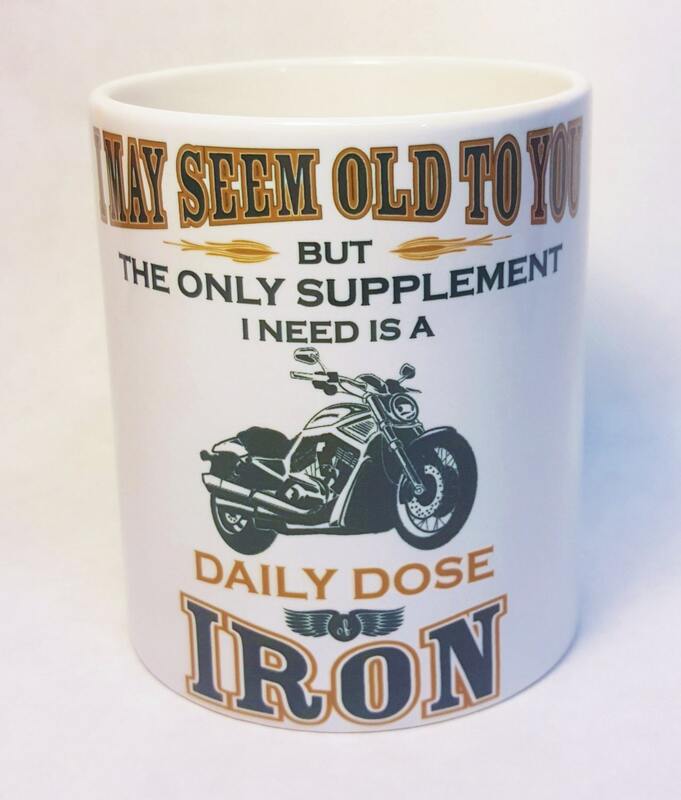 It is perfect as a motorcyclist gift or a gift for an older biker. 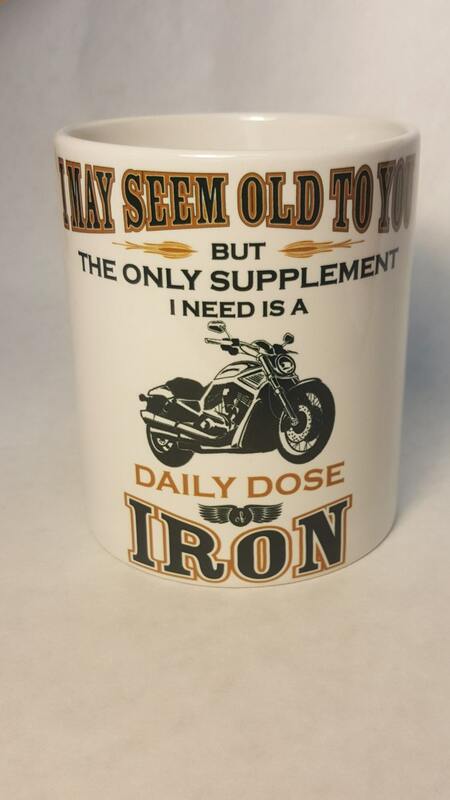 Let's face it, any biker would enjoy the humor here. 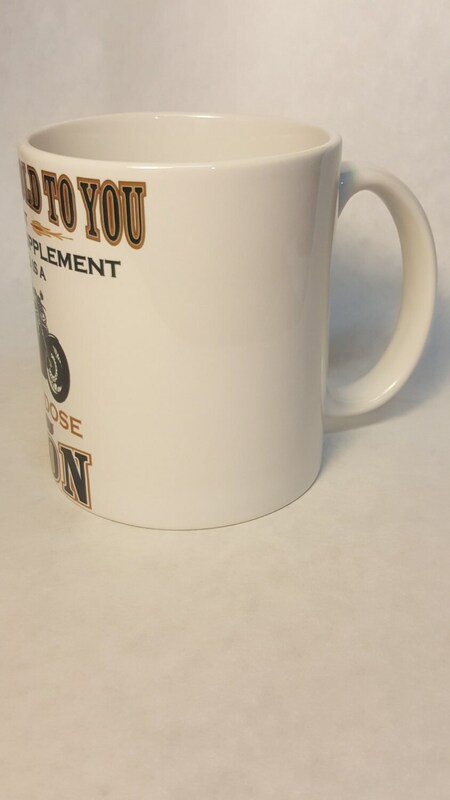 This mug is an 11 ounce, white ceramic mug. 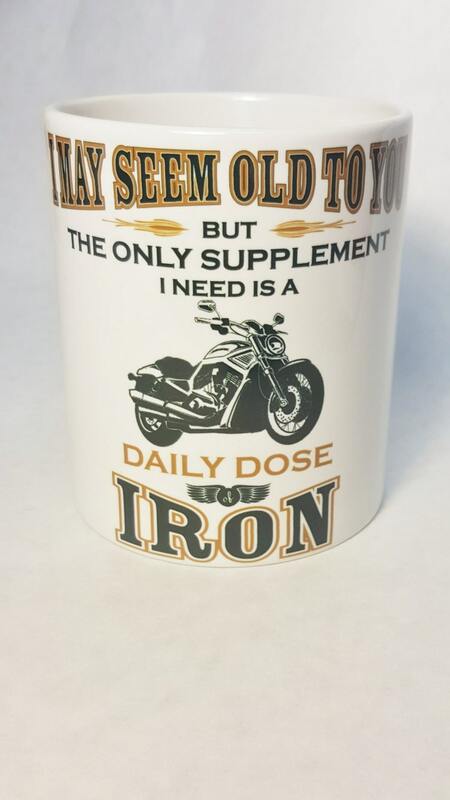 The design is created using sublimation, which means the design becomes part of the mug in the process. It is top rack dishwasher safe and microwave safe. If you would like to purchase these in quantity for your motorcycle chapter or club, contact us. Discounts will be given on quantities of 10 or more.